CJ15. 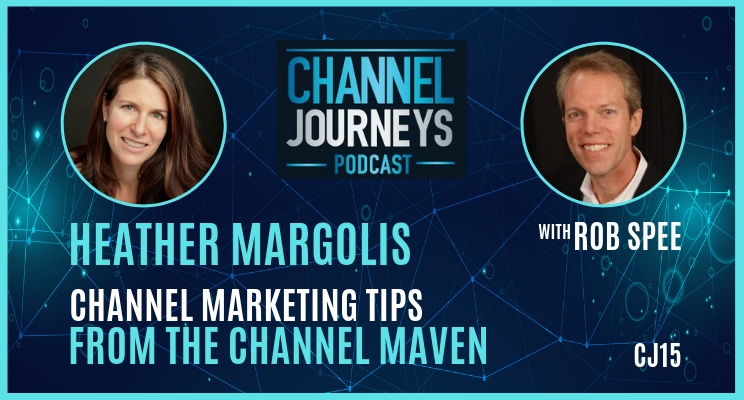 This episode features Heather Margolis, Founder and CEO of Channel Maven Consulting. 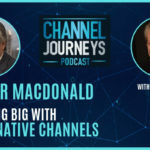 Heather shares how her company helps IT and telecom vendors improve their channel marketing to and through their channel partners. Heather provides at least 5 valuable channel marketing tips in this podcast. Start using these immediately to capture greater mind-share with your partners, drive more leads and boost sales. There are many forms of channel marketing: email, direct mail, social media, texting, events webinars. The challenge is you that you must do them all. Use a broad marketing mix and multiple touches to reach your audience. Train your partners to nurture their lead generation email and telemarketing lists with social media. One way for them to do this is by connecting with the people on the list via LinkedIn and posting relevant content to build relationships. Doing this before sending emails and making phone calls will result in a much higher conversion rate. Use LinkedIn, Twitter and Instagram to nurture your partners and build relationships. Aggregate your communications to your partners into a monthly newsletter. Then train your partners how to read it by always having the same type of content in the same location. When you launch a Channel Marketing Automation tool, don’t expect partners to use it just because you built it. Make sure you have great content and spend time letting partners know what you have and how to use it on an ongoing basis. [2:00] Channel Maven is a small boutique consultancy agency launched 10 years ago out of Boulder, Colorado. They have about 20 people who are focused on helping IT and telecom vendors communicate to partners and run demand generation campaigns through partners. [4:00] Their sweet spot is working with the channel vendors vs. the partners; 98.5% of their business comes from the vendor side. [4:40] There are many aspects to channel marketing that vendors should be thinking about. And there are many ways to do channel marketing to and through partners; email, direct mail, events, and webinars. plus social media, texting, chatting. The challenge is you must do them all. [6:15] A lot of people wonder is anybody reading email these days? If you get an email list, nurture that list first on LinkedIn. Start posting relevant content so that they feel like they have a relationship with you. And then send an email and they’ll be more likely to open or click it. [9:00] If you set up marketing automation tool, it’s not the if you build it, they will come scenario. If you build it, then you need to launch it. Put out communications around it. And not just at the time of the launch. Keep letting partners know what’s new on the marketing automation tool, what’s new with the different resources, what’s new in your program, what’s new in your product. [10:00] The typical partner is working with 5 to 25 different vendors. If they’re getting 30 emails a month from you, and they work with 20 different vendors there, that’s way too much email. [11:00] Use a partner newsletter to aggregate content. Put everything in one place and training the partners to read it or to use it. Make sure that information for the sales people or marketing people or technical people is always in the same place on the newsletter, or a segment in your newsletter to those audiences. Information for sales people should be in the top left because they will not look further down. For technical people, their information can be further down because they tend to start at the top and read to the end. [12:00] Be sure to write the newsletter in terms of what’s in it for them (the partner). The biggest mistake they see is the vendor talking about themselves and not putting information in terms of how it benefits the partner. [14:00] Partners are so busy today. Consequently, make sure the marketing apps and tools you provide them are super simple to use. [23:00] Heather finds the most effective social platforms for channel B2B are LinkedIn, Twitter, and Instagram. LinkedIn is her go-to for her business and it helps her as a thought leader. She uses Twitter when at an event to follow what’s going on or to post a picture with a partner. Finally, she uses Instagram on a more personal level for relationship building. Doesn’t see Facebook as a place to prospect.